Saloca in Wonderland: 5 easy ways to get a good nights sleep - tonight! 5 easy ways to get a good nights sleep - tonight! When the lovely folks at Casper got in touch, asking me all about bedtimes gone by, I couldn't help but take a trip down memory-foam lane and reminisce about my bedtimes as a kid. Casper believe that the right mattress doesn't just give you a proper nights sleep, but also the start to a happier, more productive day - and I couldn't agree more. I've always believed sleep is important - yes, it sometimes kills me when I think about how much I could get done during those hours but, without it, I wouldn't function - none of us would! A good nights sleep consists of two things if you ask me, a supportive mattress, and a good bedtime routine! When I was younger, I was one of those weird kids (no surprise there) who really loved bedtime. My parents might tell you differently but from what I can remember, I loved it. I loved getting into my pjs, snuggling down under the quilt and reading stories. For years, my mum signed up to a book club that sent out a selection of Disney stories (again, no surprise there!) and slowly, I built up shelves full. I would pick one or two off the shelf and bring the quilt up as far as it would go, then read myself to sleep. I'm pretty sure they where all my favorite at one point or another, but the one I remember picking up the most was Lady and the Tramp. I've always been a dog lover and forever pestered my parents for a pet. I was also convinced I would grow up the be a vet someday! I eventually got the pet, but the closest I got to being a vet was a Polly Pocket vet set! Now I'm older, my nightly routine involves a little more than a bedtime story, but here's my top 5 things to include in your night time routine, to not only sleep better, but to get the most out of your beauty sleep. 1) Get yourself in a routine to begin with! How do we get babies and little kids to go to bed? We train them in a way with a set routine which happens the same way, at the same time every night. 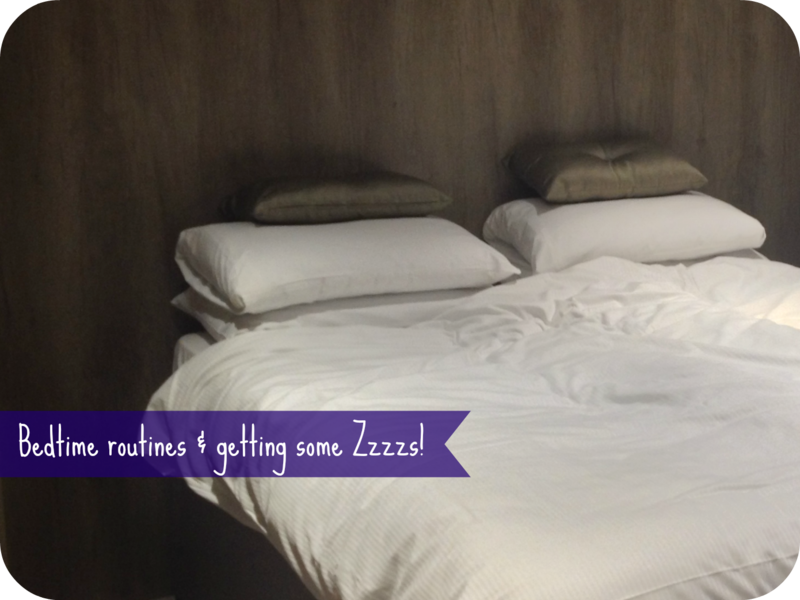 Our bodies love routine, so start with bedtime. Start your routine about an hour before you actually want to go to bed, giving you plenty of time to get through it without having to rush! 2) Switch out the lights! And back-lights! Ideally, you should stop using electronic devices around 2 hours before you want to go to sleep. This gives your brain a chance to start switching off and your eyes to start resting. I know, I know, I'm guilty of tweeting in bed too - but it'll keep our brains firing and make it harder to drift off into a natural sleep. I find writing before bed one of the best ways to get some sleep! Just take a couple of minutes before bed to write down whatever's on your mind. It could be a dear diary, a list of things your thankful for that day, or a vent about a bad day at the office. Writing it all down gets it off your chest and out of your mind, clearing it so you don't start thinking about it all after closing your eyes! Invest in the right things - a good mattress, pillow, the right quilt and good pajamas! Don't wear your summer pjs in the winter, and vice versa. Get a mattress that's going to support your back, neck and shoulders. Side sleeper? Back sleeper? Get the right pillow for your sleeping preference. It's amazing the difference the right equipment can make! 5) Sort our tomorrow before you end today! Make your lunch the night before or iron and lay out your clothes. Not only will you run around less frantically the next morning, but you'll be able to grab a few extra minutes in bed too - now doesn't that sound appealing? And if you don't need those extra minutes, use them more productively; cook a good breakfast or do some light exercises to really kick start your day! Do you have any great tips to share on getting a good nights sleep? Let me know in the comments below! Glad you liked them! Organizing the night before saves so much time! Writing it all down, good and bad makes the world of difference to me! It's well worth trying out, stick with it for at least a week and let me know how it goes! That last tip is genius. When I was in school I would get all my stuff ready for the next day at night so that I wouldn't be stressing out about it in the morning. It really helped a bunch... especially because if I wait until the morning I am more likely to forget something! I always work out the door forgetting something if I don't get everything ready the night before! Worst feeling in the world, especially when you have no idea what you've forgot!